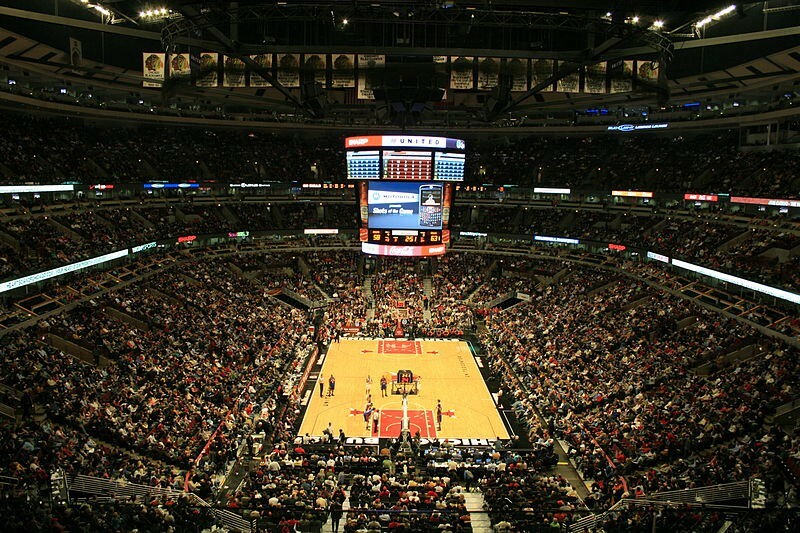 The United Center is an indoor sports arena located in the Near West Side community area of Chicago. It is named after its corporate sponsor, United Airlines. 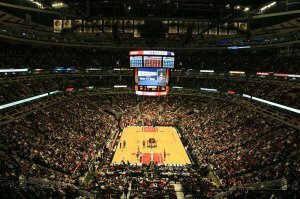 The United Center is home to both the Chicago Bulls of the National Basketball Association and the Chicago Blackhawks of the National Hockey League. The plan to build the arena was created by the late Bill Wirtz and Jerry Reinsdorf, the owners of the two sports teams. The United Center's predecessor was the indoor Chicago Stadium, the original "Madhouse on Madison", which was demolished after the newer arena opened for business on August 18, 1994. A statue of Michael Jordan, "The Spirit", is located on the east side of the arena, while a statue of various Blackhawks sits to the north on Madison Street, where the Chicago Stadium was located.